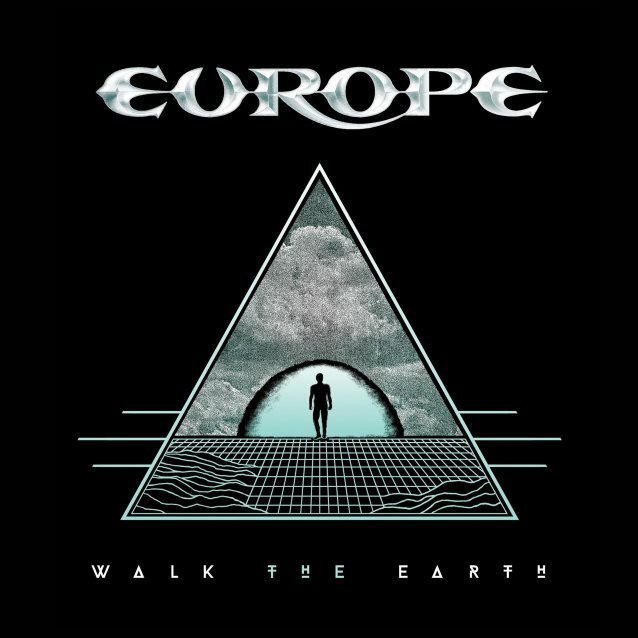 The first trailer for "Walk The Earth", the brand new album from Swedish hard rock veterans EUROPE, can be seen below. Due on October 20 via the band's own Hell & Back label through Silver Lining Music, the follow-up to 2015's "War Of Kings" was laid down at London, England's legendary Abbey Road studios and was produced by Dave Cobb, who also helmed the band's last disc. The "Walk The Earth" cover (shown below) features original artwork by famed Los Angeles artist Mike Sportes of Filth Mart. Speaking about the new album's recording sessions, EUROPE drummer Ian Haugland told Kaaos TV: "This time around, I would say that it turned out even better than 'War Of Kings', because we felt more at ease with Dave, 'cause now we knew how he was working from the previous album, from 'War Of Kings', so we felt really like a team immediately. And we knew when we went into the studio that we had a batch of really good song ideas, but when we went out of the studio and the recordings were finished, we had an even stronger feeling. So we took the songs, really, to the next level when we recorded them. So we're really excited about the new music." Regarding the musical direction of the new EUROPE material, Haugland said: "There are a lot of '70s roots. I think you can hear influences from David Bowie, from LED ZEPPELIN, BLACK SABBATH and DEEP PURPLE, obviously — all those bands that we grew up with. It's a nice mix, but still I think this album has a stronger backbone, stronger identity. I mean, the 'War Of Kings' album had a lot of great songs, but I think the new one is gonna be more focused, sort of. And also sound-wise, I think it's got a warmer and more analog character to the sound, which we love." EUROPE will tour the U.K. later this year as the support act for DEEP PURPLE. Headlining European tour dates for November and December will be announced soon. 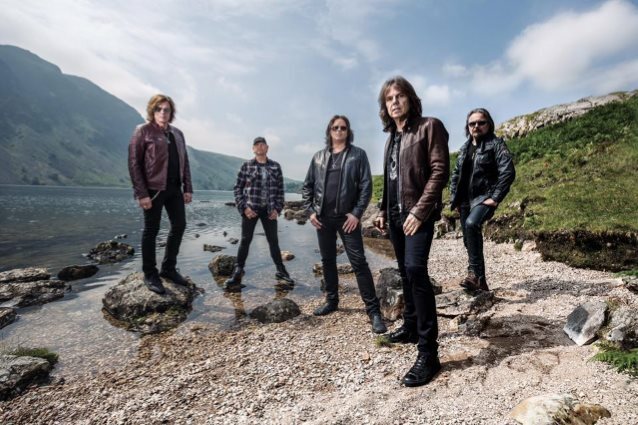 EUROPE last year completed a short European tour during which the band played "The Final Countdown" album in its entirety to celebrate the LP's thirtieth anniversary. A recording of the band's "The Final Countdown" performance at London's legendary Roundhouse was released on July 21. "War Of Kings" came out in March 2015 via UDR Music.